Kimberly Sands is the Managing Broker of the Pleasure Island offices. In June of 2016, Kimberly joined Coldwell Banker Sea Coast Advantage from its sister company, Coldwell Banker Advantage in Apex, NC. Here she was both a managing broker, team leader and a top producing agent, with more than $25 million in sales in 2015. During her tenure, she recruited top agents to the Apex office and helped it earn one of the highest sales rankings among all of the Coldwell Banker Advantage offices for 2015. Prior to her work with Coldwell Banker Advantage, Sands owned and operated a Realty World brokerage firm for six years in Apex. 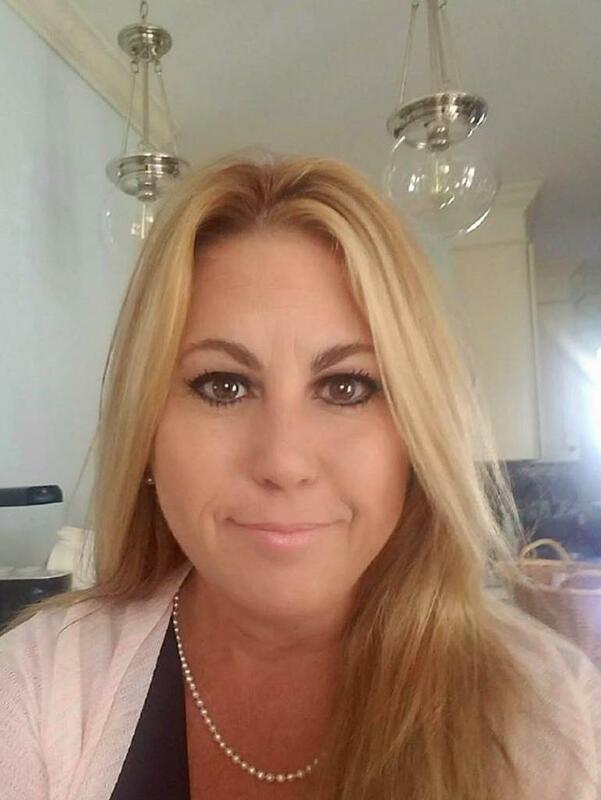 As the Managing Broker, Kimberly is responsible for the day-to-day operations of the 4 Carolina Beach offices, as well as agent recruiting, training and support. The Carolina Beach offices are located at 1001 N Lake Park Blvd, 1009 N Lake Park Blvd, 103 S Lake Park Blvd, and 105 Tennessee Ave and serve Carolina Beach, Kure Beach and southern New Hanover County. A native of Yonkers, NY, Sands has lived in North Carolina for 25 years. She is a graduate of the Laboratory Institute of Merchandising in Manhattan with a degree in Fashion Merchandising. Kimberly has more than 18 years of experience in the real estate industry and has earned the following designations: Short Sale and Foreclosure Specialist; Cartus Network Affinity Specialist (relocation specialist); USAA Preferred Agent and Home Retention Consultant. We recently found and purchased a home with the help of Kim Sands and we could not have been more impressed. The property we found was unique but her comps were right on the mark. She is quick to respond especially with the amount of questions we had as buyers. She is a consummate professional and a hard worker. Her guidance through the process was comforting. We never felt rushed or pressured and she remained calm and pragmatic. We would definitely use Kim as our realtor again and would highly recommend her to others. I am very happy with the services that Kim provided. I'm a veteran, and Kim was knowledgeable about the VA Loan process. She's also made some great contacts with contractors, home inspections, and others. In my case, I sold and bought on the same day, it went very smoothly throughout the process. Near our buy/sell date, there was an issue with my buyer's loan which blocked my loan. During this issue, Kim gave me consistent updates, and walked though all my options. She was able to clearly explain what was going on, so that what could have been a disaster was just a little hiccup. I recommend her to other Veterans and non-veterans alike. Kim is amazing! She has great local knowledge and it’s extremely organized. Five stars in all categories is not enough to describe her. Simply amazing! Kim is the best! As soon as our Florida listing agent put us in touch with Kim, she was on the case. We talked immediately so that she knew what we were looking for, and right after, she had recommendations for us on her website. She found us exactly what we wanted, negotiated a fair price, and helped get us a quick closing. In short, she was super! No one knows the area better than Kim, so if you're moving to this part of North Carolina, give her a call today! We told Kimberly what we were looking for and she took the time to send us possible options and follow up about specific details (HOA fees, fence rules....). Because Kimberly took the time before hand, we found a place to purchase on our first day of physically looking. Kimberly was honest, energetic, very knowledgable and a great person to work with. Kim was immediately helpful with any question or concerns. We relocated from another state and Kim was able to be our eyes and ears when we were not here . I have total trust in her knowledge of the Triangle area and would highly recommend her . Kimberly was able to identify the type of home that appealed to us (flow, location, price, architecture). She was well prepared with appointments and was able to zero in on exactly what we wanted within a few hours. Kimberly also has good relationships with builders, sellers, other realtors, inspectors among others. We were able to find, close and obtain our home in under three weeks. The first time I spoke to Kim, I told her that I needed to sell my house quickly! I had inherited the house through my divorce and had to rent it out because I had moved out state. After numerous renters had destroyed it and the tens of thousands of dollars I had to shell out to fix everything, I could no longer afford owning it. She understood my need and did everything it took to sell my house. The house was listed for two hours, yes TWO hours and I received a verbal offer $1,600 lower than asking. Since my goal was to break even on the sale, I accepted. We received a written contract that evening. I couldn't believe it! My stress level immediately dropped and everything was smooth sailing until we closed. I couldn't have been more satisified with Kim and her hard work. If I were ever looking to sell or buy in the Raleigh area again, I would contact Kim in a heartbeat!! Kimberly is an extremely knowledgeable real estate agent. This is the 2nd purchase she's handled for us, plus listed and sold our home. She pulled out all the stops getting our home listed, sold, finding us a new home and closed all under 30 days. Not only does she work hard for her clients, she does it with a smile on her face and remains calm! We highly recommend Kimberly! This was our 3rd time using Kimberly Sands and I can say that she even surpassed her previous expertise. Kimberly is the only agent that I would give 5 stars to and endorse with the highest praise. This time she sold our home within 4 days and for the price we wanted, with everything going extremely efficient. Her friendly yet professional persona makes her a joy to work with! We were looking to relocate to North Carolina from Massachusetts. Kimberly Sands met us early on a Saturday morning and showed us approximately 20 homes. Some of which we requested and others she gathered from our requested criteria. We found our dream home which was also listed with Kimberly. She was fair to both the sellers and my husband and I, as the buyers. Kimberly helped to make our move smooth and less stressful. I have already recommended her to friends of ours and will continue to do so. Kim was very patient and supportive through our home buying process. She paid excellent attention to our needs and helped us locate and ultimately close the house that was best for us. She did a great job of communicating with us and ensuring a smooth process. We would recommended Kim to our friends and family! We were very happy with our home buying experience with Kimberly. She is a very attentive realtor. She was very patient with us while we looked for the "perfect home" and always made herself available for us (even at the last minute and with little notice!). She helped make a stressful process seem easier and for that we would definitely recommend her to our friends or family. Kimberly Sands was a pleasure to work with! She is very knowledgeable of the Triangle area and the school districts as well. She was extremely patient with us as we were looking for something very particular and she never gave up! I would highly recommend her to everyone! If you have not met Kimberly Sands then you are missing the opportunity of having to look no further for the best realtor in the area! I have had the great pleasure of her assisting me in buying and selling several homes over the last 10 yrs. I have witnessed her always working very hard to find the best match for her clients. Her ability to think of possible plans of surrounding land and neighborhoods and how it could affect what a client may like and dislike has always amazed me. She is able to help you think through the process and connect you with others to assist with your needs. She is a top notch professional and can help you too find a space you can call your very own home! Kim is an incredibly professional Agent who helped guide us through every single step of the process. She tirelessly answered all of our questions and her knowledge of the local area is unsurpassed. She was incredibly patient with us and smoothly changed her focus without comment when we had to completely change our search criteria. All the homes she showed us met the criteria we gave her and we always felt that she really understood what we were looking for. I would most strongly recommend Kim to anyone who is looking for a top-tier realtor. My wife an I feel lucky to have met Kim. We are new to the area and were first time home buyers.Kim found just what we were looking for, helped us make an offer, and provided key insight on each step in the closing process. I highly recommend Kim, without her we would have never found the house of our dreams! As this was our first home to buy we were nervous about the whole process and not knowing what we didn't know. Having Kimberly there with us every step of the way, guiding us, and talking us through everything from the simplest of questions to the more difficult, was the greatest of comfort and gave us great confidence that OUR interests were first and foremost. Kimberly was extremely knowledgeable (there was not one question of the many we had that she could not answer), proactive, always available, caring and what we liked best of all she was very honest with us and didn't just tell us what she thought we wanted to hear! We cannot express adequately how pleased and fortunate we were to have had her as our realtor and would highly recommend her services for the new home buyer to the seasoned home buyer. Should we need to sell or buy another home Kimberly Sands will be the first person we call! Kim was very professional and had a contract on our condo unit in 2 months. We had had the unit listed for sale with another agency for 6 months and did not receive an adequate contract in that time. Kim smoothly moved everything along and did a great job. Wewere very lucky to have the chance to work with Kimberly on the process of getting our new house. She took one whole weekend just to walk houses with us (about 20), and understood our needs as far for the type of house, property, area and budget we were looking for. Everything happened fast and she made sure that we would get everything we wanted; not only that, she fought for our rights of having everything that was pending during the inspection, to be either done or credited to us. I really appreciate her kindness and time. She was always in contact and updating us on all the properties available that would suit our needs. I will recomend her to anyone that ever ask me about a realtor, without questioning. 1) Super on top of things, very assertive and decisive. Kim will give you constant updates on your home purchasing process as well as your selling process. If you want to know the status of things every step of the way, she will constantly inform you of the details and where things are. She is extremely proactive about follow-up and drives the closing process. 2) Very accommodating based on your purchasing criteria and market conditions. Kim is very flexible in accommodating changes and revises her focus accordingly. She is very understanding and supportive during decision making process. 3) Technically savvy and accessible - Kim uses every technology channel possible to communicate with you. From email to text to automated searches to digital signatures, Kim uses the most effective channel of communication to get in touch with you. She's just a text message away whenever you want to reach her, but she is also just a phone call away. Overall, our experience has been a positive one and would highly recommend her to anyone. She put our home on the Market Feb1st, 2013 and it was sold in 30 days!! We recently purchased our first home and chose Kim Sands as our realtor and she was awesome! She was so flexible with our schedule, and was always willing to meet us at the times when we were able to look at homes. She was also very honest about the neighborhoods and homes we had chosen and if they were family friendly because we didn't know much about the area. Overall our first home search went great and ended wonderfully with us in our first house and we couldn't have done it, especially in our time frame without Kim! Kimberly is a great realtor. My husband and I will definitely recommend her to anyone we know house hunting in the RTP area! Kimberly listened to our wants and needs to help us find not only the perfect home, but the perfect neighborhood too. We are 100% satisfied with our experience with Kimberly. She was extremely attentive and always responsive. Note: If you don't have one already, you will be prompted to create a profile on Zillow as a part of submitting a review. It helps ensure that reviews are from actual clients. Kim was our first real estate agent we ever worked with in purchasing our first home. She made the process simple and easy to understand, and she was always easy to get in touch with throughout the transaction. We would definitely recommend Kim to anyone who is looking for a helpful, reliable realtor. We will definitely contact her again in the future! As a first time home buyer, Kim went out of her way to accommodate me in my search for my ideal home. There was no pressure for me to buy, only support to ensure I found exactly what I was looking for. Once, I found my dream home, Kim made sure that my transition to purchase was as easy as could be. Kim helped us stage our home for the market and price it competitively. Thanks to her great advice, our home sold in 8 days, after 6 showings! Then she helped us focus on the things we really wanted in our new home (including showing us things in the houses we looked at that might slow resale, like poor drainage in the yard). We found our dream house quickly, and Kim helped us negotiate a fair offer. Most impressive, though, was the work Kim did behind-the-scenes to ensure our move was smooth. When our buyer had an issue, Kim worked to resolve it herself -- and even got our home's builder to help us find a water shutoff we hadn't located in 15 years. Our investment in an excellent agent paid off for us in reduced stress and a streamlined move. I'd recommend Kim with no reservations -- not only is she an expert agent and skilled negotiator, but she's fun to work with and made me laugh throughout. We'll definitely seek her out next time we move! Kimberly was very patient throughout the entire process and showed me over 50 homes before I found the right one. I would recommend this agent to anyone who is interested in buying or selling a home as I have done. We relocated from Southern California to Pittsboro, North Carolina. From the search for a new home until the process was completely finished, Kim was there for us with her expertise along the way. Would not hesitate to call on her again in the event we needed to buy/sell a new home. Kimberly sold our home in record time. I can't believe we used another agent first with no results -- gave it to Kimberly and BOOM! Gone in no time and at a great price. She staged an empty home very professionally. Thank you Kim!